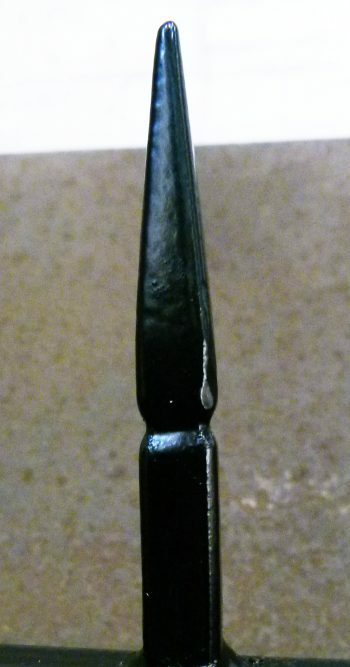 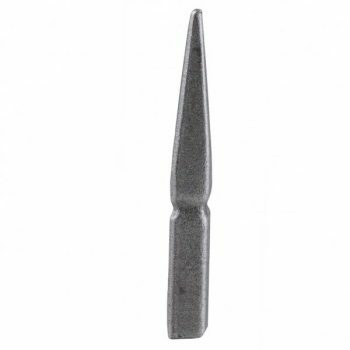 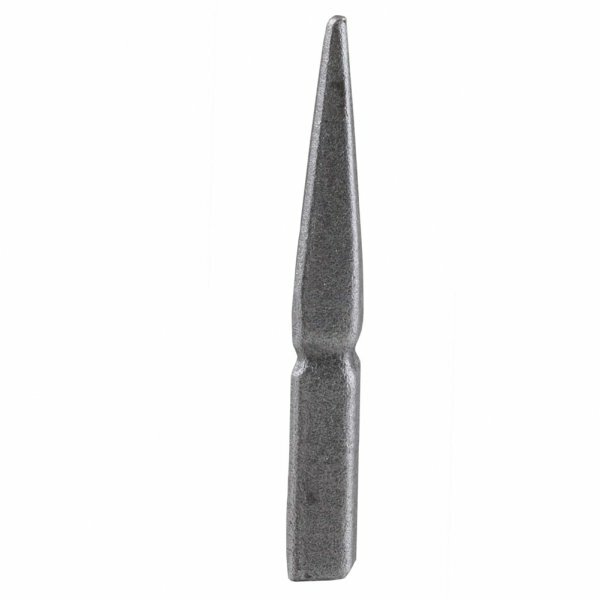 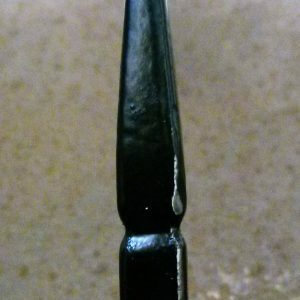 For an understated look this plain railhead is simply elegant. A three dimensional piece that is gently pointed. 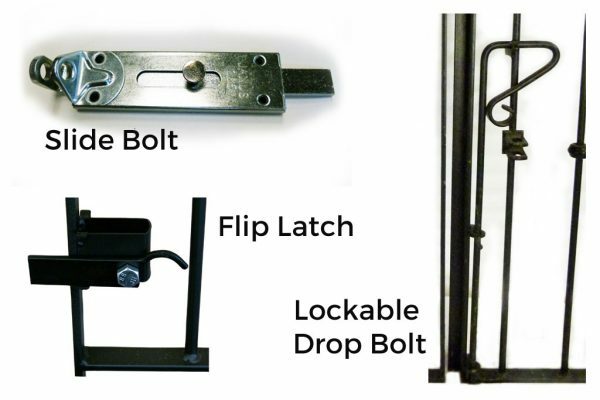 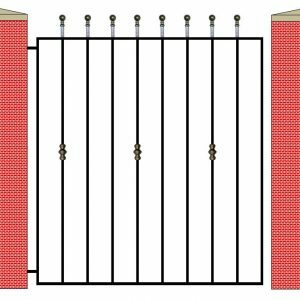 The gates come in a matte black painted finish as standard complete with a flip latch and adjustable eye bolts. 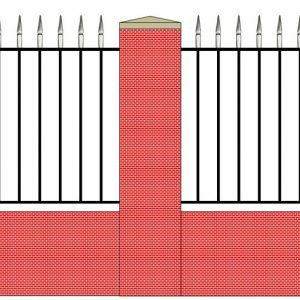 Please note we do not supply any nuts or bolts required for fixing your ironworks into brickwork, stonework or the ground. 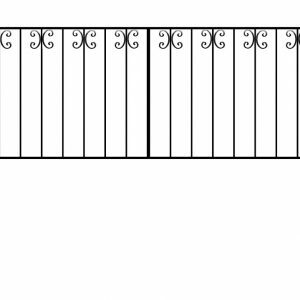 We advise you to buy these locally as there are many different types according to the materials to which the ironworks are to be fitted. 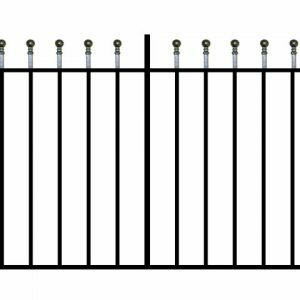 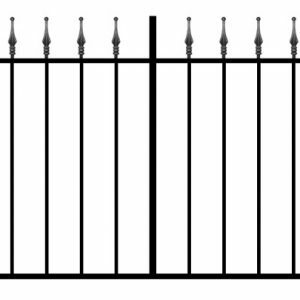 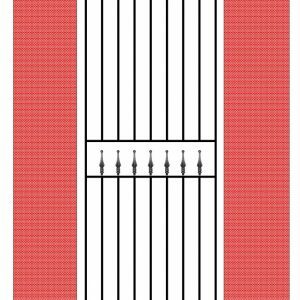 This product matches our GRD 8 Single Gates and GRD 8 Railing. 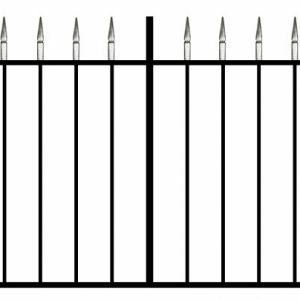 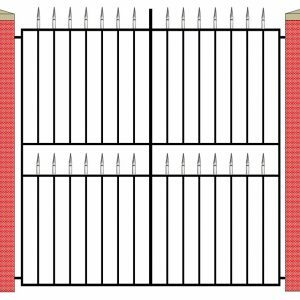 Made to order using 12mm solid square vertical steel bars spaced at 100mm (4”) intervals and 30mm x 8mm (1.18″ x 0.31″) flat bar horizontal crossrails. 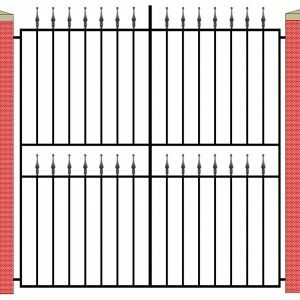 However, for large gates the framework will be made to suit the size specified in your order. Railhead measures 100mm x 12mm on a 12mm square base. 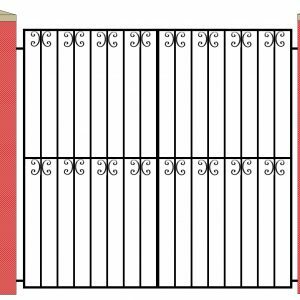 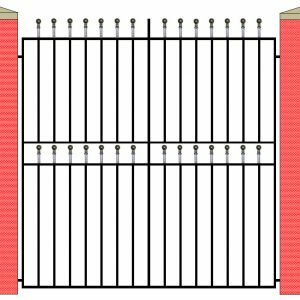 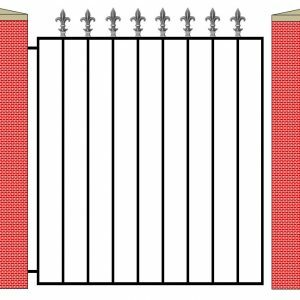 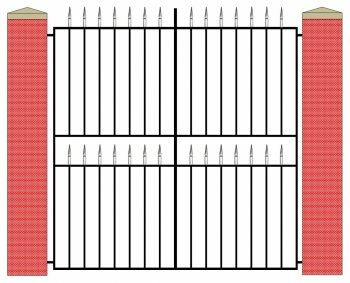 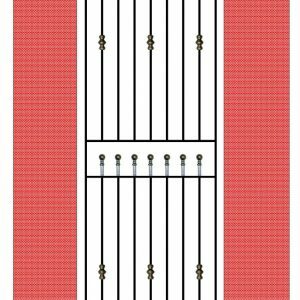 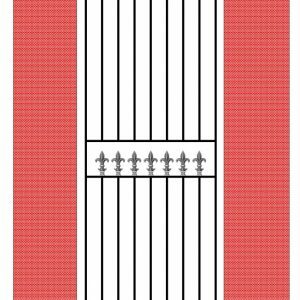 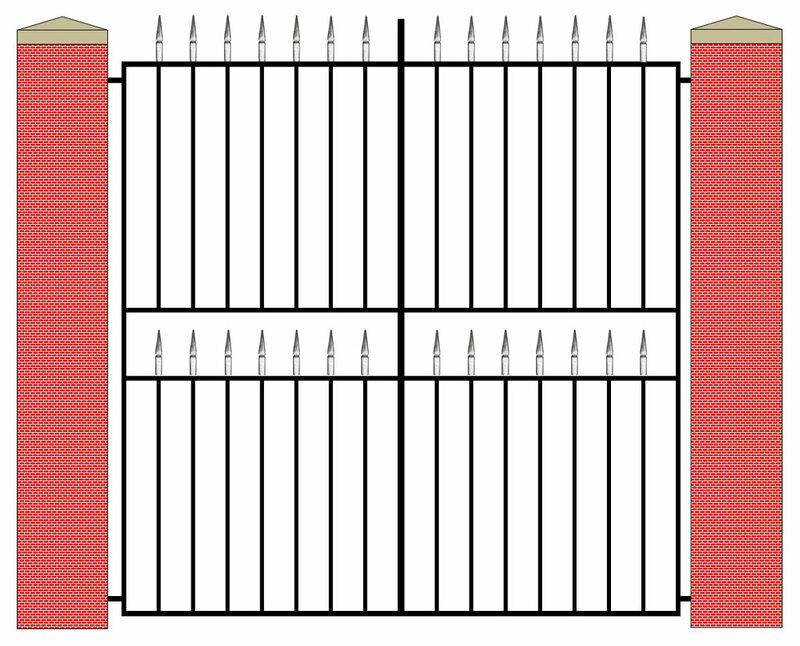 Please note that we make the 914mm (3ft) and 1220mm (4ft) high gates with one row of decoration (shown top left) and the 1830mm (6ft) high metal gates with two rows of decoration (shown above).